America will not return to the pre-New Deal era. Limited government, not small government, must be the aim. That requires low taxes, not taxes that never increase. She wants Republicans to give up “the pledge” and be willing to raise taxes if that’s the prudent thing in any circumstance. Rather than propose a means of raising revenue that they deemed fair, the colonials were more than happy to direct their considerable energies toward opposing whatever plan the British ministry put forward. That is, the American revolutionaries didn’t feel obligated to help the British government raise all the money it wanted. They were satisfied to oppose what they regarded as unwarranted taxation. Tax resistance: an American tradition since 1773. Or 1767. Or 1687. New York State’s economic development agency created a new position last June, and then found a candidate to fill it: a young man named Willard Younger, who had just graduated from Colgate University with a degree in classics and religion. He became a special projects associate, at a salary of $45,000 a year, according to state personnel records. His father, Stephen P. Younger, is a lawyer and power broker in legal circles who was a member of one of Gov. Andrew M. Cuomo’s transition teams. He has also donated $26,000 to Mr. Cuomo’s campaigns over the years, disclosure records show. The next month, the agency hired 23-year-old Andrew Moelis, a University of Pennsylvania graduate, for another new position, strategic planning associate, at a salary of $75,000 a year. Shortly before Mr. Moelis’s first day of work, his father, Ron Moelis, a prominent real estate developer, gave $25,000 to Mr. Cuomo’s re-election campaign, according to the records. If more money can be made by investing in Washington than by drilling another oil well, money will be spent there…. Every dollar spent by the federal government ends up in someone’s pocket as a salary, a transfer payment, a subsidy, a purchase or a loan. But there are other valuable services available, too: regulations that eliminate or hamstring your competitors, for instance, or a tax provision that induces consumers to purchase your product. But “jobs for the boys” can also be a way to reward political supporters. And if it’s a job for your own boy, so much the better. Empire State has also hired friends of Mr. Cuomo who may help form his political brain trust should he decide to run for president in 2016. James P. Rubin, a former State Department spokesman, was hired at the agency in 2011 as counselor on competitiveness and international affairs, with a salary of $150,000 a year. Mr. Rubin’s appointment was seen by political consultants as a move by Mr. Cuomo to add a foreign policy hand to his stable. Empire State hired 49 people in the first 20 months of the Cuomo administration, according to personnel records obtained by The Times. Nearly a third were the governor’s political associates, donors and friends, or their relatives, the records and interviews show. At least seven of the new hires with connections were placed in newly created positions. We hear a lot about austerity in government today. We hear that “state and local government coffers [are] empty.” We hear that spending has been “cut to the bone.” I’d say that the Empire State Development Corporation would be a good place to save the New York taxpayers $741.8 million this year. In At the Brink, economist John Lott argues that the Obama administration’s policies are destroying what has been a health care system that has been the envy of the world. Furthermore, Obama inherited a severe recession, but the spectacular “stimulus” spending with which Obama launched his presidency not only has failed to help the economy—it has poisoned it, slowing the recovery. His positions on regulations and taxes have also harmed the economy. But the Obama administration’s legacy isn’t just going to be on health care and the economy, Lott says. For example, another long-lasting legacy will be on people’s ability to defend themselves with guns. The administration’s appointments to the courts, as well as federal actions and its unprecedented push for states to adopt gun control, will reduce gun ownership and endanger lives. Join us for a spirited critique of President Obama and his policies. The Establishment is very concerned this morning that the representatives of the people have resisted demands for stricter gun control measures. The president calls it “shameful.” The New York Times editorial board intones, “The Senate Fails America.” Dana Milbank of the Washington Post deplores a lack of “courage” on Capitol Hill, though some might think it takes courage to defy the overwhelming drumbeat of the national media. Whatever the merits and popularity of the specific measures that went down to defeat in the Senate on Wednesday, I think the Establishment fails to appreciate the depth of American support for the Second Amendment. NPR and other media have lately noted a growing libertarian trend in American politics. That’s not just about taxes, Obamacare, marijuana, and marriage equality. It also involves gun rights. After each high-profile shooting, support for gun control rises. But it tends to fall again in short order, as public opinion reverts to the baseline of strong support for gun rights. I was struck by this poll graphic in the Washington Post on Wednesday. Despite the virtually unanimous support for stricter gun control in the national media, along with other opinion shapers such as Hollywood and the universities, and despite the mass shootings that have received so much attention in our modern world of 24-hour news channels, Americans are becoming more convinced that guns make your family safer. The fact is, America is a country fundamentally shaped by libertarian values and attitudes. 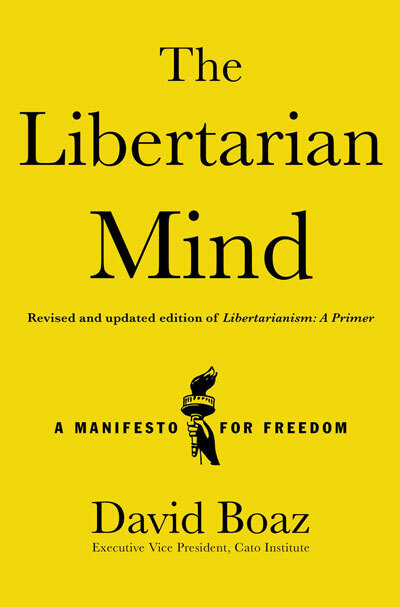 Our libertarian values helped to create the Constitution and the Bill of Rights, and those documents in turn shape our thinking about freedom and the limited powers of government. In their book It Didn’t Happen Here: Why Socialism Failed in the United States, Seymour Martin Lipset and Gary Marx write, “The American ideology, stemming from the [American] Revolution, can be subsumed in five words: antistatism, laissez-faire, individualism, populism, and egalitarianism.” If political scientists Herbert McClosky and John Zaller are right that “[t]he principle here is that every person is free to act as he pleases, so long as his exercise of freedom does not violate the equal rights of others,” then we can expect Americans to cling to their gun rights for a long time. The New Republic’s daily email this morning asks, “Who killed gun control?” Who? The Americans. We saw sort of the counterweight to the Tea Party on the right yesterday … protesting outside the White House. Big rally against budget constraints, eh? Like the Tea Party rallies such as this one? Well, not exactly like the Tea Party rallies. According to various news stories, the rally was supported by numerous groups, including the AFL-CIO, MoveOn.org, the National Organization for Women, Progressive Change Campaign Committee, Democracy for America, and National Committee to Preserve Social Security and Medicare. Speakers included Sen. Bernie Sanders, liberal activist (and brother of former presidential candidate Howard Dean) Jim Dean, and at least two members of Congress. Liberal lawmakers from Congress and a coalition of like-minded groups rallied outside the White House on Tuesday, voicing frustration at the Democratic president they say has let them down by proposing cuts to Medicare and Social Security. 1. Passing laws is good. Passing more laws is better. The purpose of a legislative body is to pass laws. 2. Gun control is good. On the first point, just consider the large number of stories, especially this past December and January, on “the least productive Congress in history.” The assumption is that “productivity” for Congress is passing laws—laws that in most cases will raise taxes, raise spending, increase regulation, and/or intrude the federal government into more aspects of our lives. More than 100 days after the shootings in Newtown, Connnecticut, that killed a total of 28 people including 20 elementary school students, Congress has still not passed new gun registration legislation. Just five years after the Supreme Court ruled that the Second Amendment protects the individual’s right to bear arms, members of Congress are seeking to pass gun control legislation. But I’m not holding my breath. It’s just a reminder that the language used even in straight news stories can frame the issue in the minds of readers and listeners. The Great Deformation is a searing look at Washington’s fiscal crisis. It counters conventional wisdom with an 80-year revisionist history of how the American state — especially the Federal Reserve — has fallen prey to the politics of crony capitalism and the ideologies of fiscal stimulus, monetary central planning, and financial bailouts. David Stockman points a finger at Franklin Roosevelt, who fathered crony capitalism; Richard Nixon, who destroyed fiscal discipline and the gold-backed dollar; Fed chairmen Greenspan and Bernanke, who fostered bubble finance and addiction to debt and speculation; George W. Bush, who repudiated fiscal rectitude and ballooned the warfare state via senseless wars; and Barack Obama, who revived failed Keynesian “borrow and spend” policies that have driven the national debt to perilous heights. He doesn’t spare Ronald Reagan and Milton Friedman, either. He’s guaranteed to provoke liberals, conservatives, and libertarians. Diplomatic sources said that the Japanese tend to be flattered when the American ambassador is a person of great renown, because it confirms their importance to the United States. Past ambassadors to Japan have included former Senate majority leaders Mike Mansfield and Howard Baker, former vice president Walter F. Mondale, and former House speaker Tom Foley.